Manufacturer of a wide range of products which include connector cables. 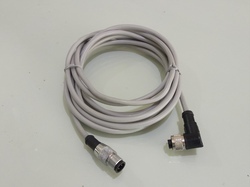 Electronic Switches manufacturers M12 & M8 Female & Male Connector cables for Sensors. These are Univrsal Type Cnnectors which can used by all types of sensors.